Message from the President | Our Company | INABATA & CO., LTD.
Inabata Group's Mission is to contribute to the development of society based on the humanitarian spirit of "ai (love)" and "kei (respect)," which have been the two core values for the company since its inception. Our Vision is: "to continually evolve, serving clients and society, through global operations and meeting their changing needs." 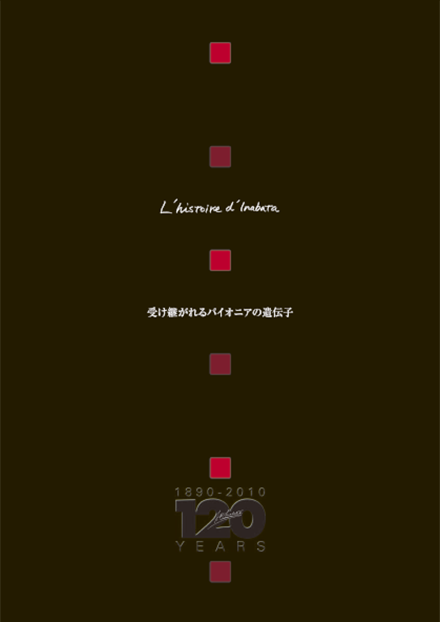 The forerunner of Inabata Group was established in Kyoto, in 1890, as an importer and seller of synthetic dyes. Keeping the chemicals business as its core activity, Inabata has brought over the expansion into such product areas as electronic materials, housing materials, and food. Our history of business expansion has also been a process of developing capabilities in such functions as market development, manufacturing/processing, distribution, and financing. Today, Inabata Group operates more than 60 sites in 18 countries outside of Japan, and overseas sales account for over 50% of consolidated net sales. With our broad and extensive global network and the specialized capabilities we will continue to provide premium solutions to our clients. We firmly believe that this is our duty and that it will lead us toward the realization of our Vision. We look forward to your ongoing support and encouragement over the coming years.